As if Thanksgiving and the first day of Chanukah falling on the same day were not coincidence enough, the comet ISON will be at its closest point to the sun—about 750,000 miles away-- on that day, Thursday, Nov. 28th. Grossmont College Astronomy Prof. Ross Cohen says for people who don’t have the proper equipment for comet watching, at the time of its closest approach to the sun, it is safest to turn to the Internet or to television to view images from satellites that will be tracking the comet from various vantage points in space. At its closest point to the sun, called the perihelion, Comet ISON skims past the sun– as viewed from Earth. But various satellites have other vantage points and might even see it cross in front of the sun. If Comet ISON survives the transit, it is expected to display a bright trail of rock, ice and other space materials gathered from its origin in the mammoth Oort Cloud, a vast expanse of comets surrounding our solar system. Cohen suggests that pre-dawn in the first several days of December may be the safest time to see the comet because viewers won’t have to contend with the sun’s glare. Registration is now open for the first winter session – or intersession -- classes at Grossmont and Cuyamaca colleges since 2009. Registration is also now open for spring 2014 classes, which start Jan 27. Thanks to last year’s passage of Proposition 30, the tax plan that fortified education after four devastating years of state budget cuts, the colleges are offering more than 50 intersession classes between Jan. 3-24. Before the passage of Prop. 30, debilitating funding losses totaling $16 million to Grossmont-Cuyamaca forced the district to slash 1,600 classes and to turn thousands of students away at a time of record demand. “After years of having to turn away students because fewer classes were available, we’re happy to offer more options for students to reach their educational goals,” Chancellor Cindy L. Miles said. 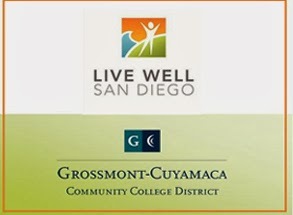 The Grossmont-Cuyamaca Community College District Governing Board voted this week to join San Diego County’s “Live Well San Diego” campaign, part of the district’s commitment to supporting the health and wellness of the campus communities at the two East County colleges. The county program was launched in 2010 as a long-term initiative to improve the health and well-being of all residents by involving partners including cities and schools to promote healthy, safe and thriving communities. The program was created to tackle three behaviors that have contributed to more than 60 percent of the deaths of East County residents – poor nutrition, lack of exercise and tobacco use. The Governing Board passed a resolution Tuesday ratifying the district’s partnership with the county, becoming among the first higher-education institutions to join the Live Well San Diego network. With California’s cash-starved K-12 public schools often feeling forced to deemphasize the arts in order to provide education in traditional academic subjects, East County high schools in cooperation with Grossmont College have an encouraging message for students with aspirations toward careers in the performing and visual arts. There’s light --and movement--at the end of the tunnel! More than 260 students from eight East County high schools recently attended technique classes and performances put on by Grossmont College’s Dance Department to familiarize themselves with the wide range of opportunities for aspiring dancers. Prof. Kathy Meyer said that the high school students were treated on Friday, Nov. 15, to an abbreviated performance of “Breaking Boundaries,” the dance concert that Grossmont College presented in three performances last week at the Joan B. Kroc Theatre in San Diego. In addition, high school students from Valhalla, Grossmont, Monte Vista, San Pasqual, Ramona, El Capitan, Helix Charter, and San Diego SCPA got to try their feet in a variety of dances demonstrated by Grossmont faculty. David Mullen instructed the Jazz, Partnering, and Contact Improvisation classes, Kathy Meyer taught the Pilates mat classes, Melissa Adao instructed the Hip Hop classes as well as a Horton style Modern Dance class, Debi Toth-Ward instructed a Modern Dance class in the Taylor technique, Nancy Boskin-Mullen taught sections of both Salsa and Swing dance, and Colleen Shipkowski instructed the Ballet classes. Meyer said over the years the day of dance has proven popular with serious young dancers. “We often hear from students that their visit to Grossmont College for the High School Dance Day was the deciding factor in attending Grossmont College after their high school graduation,” she said. Cuyamaca College has been honored with a statewide award for its long-term commitment to keeping students at the forefront of the green movement. The Rancho San Diego college was one of five community colleges across the state to receive a leadership award this month at a conference in Pasadena that brought together green-industry leaders and educators to focus on ways that two-year colleges have embraced the sustainability revolution. 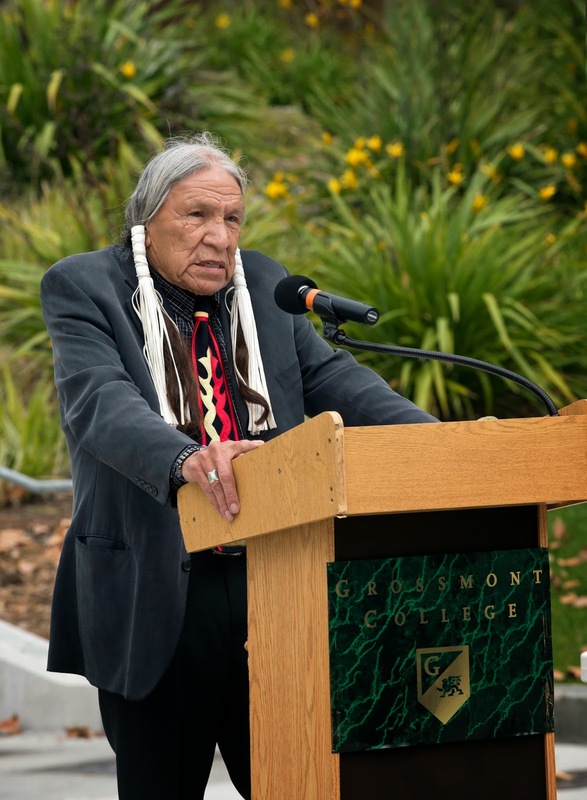 The award to Cuyamaca College in the category of student engagement at the sixth annual Green California Community Colleges Summit and Exposition Nov. 6 was a testament to Cuyamaca’s history of engaging students and the community in its many conservation initiatives. The college has widely embraced green initiatives, ranging from cutting-edge training programs to regional conferences that bring industry and students together to address green workforce needs. 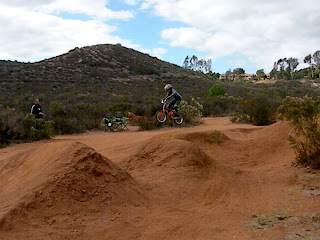 Cuyamaca College has begun to enforce restrictions on use of a nature preserve at the Rancho San Diego campus that has been a popular – but illegal – spot for young bike riders. A young biker flies over the dirt mounds at the nature preserve. The mounds will be removed soon. The area off Fury Road has long been used by bikers who created dirt mounds that enabled them to perform their daredevil tricks. The college is closing the area, part of a sensitive wildlife habitat, while it removes the bumps and replants vegetation to restore the area to its natural state. College President Mark J. Zacovic and other college leaders met with about 50 bikers Saturday afternoon to explain why they could no longer ride their bikes there. “We need to be responsible and follow the rules of state agencies to keep this as a habitat,” Zacovic told the group. 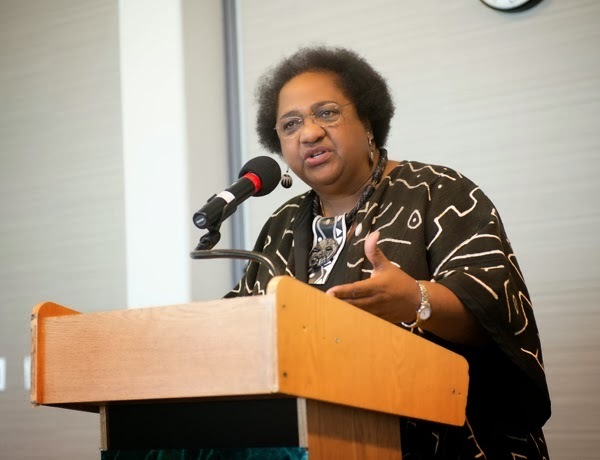 Simply putting people with differences in background at the same table does not assure that a workplace will have the benefits of diversity, Assemblywoman Shirley N. Weber (D-79) recently told students and faculty in a crowded Grossmont College lecture hall. “All the people around the table must feel empowered to speak up and advocate for their points of view,” she explained. Assemblymember Weber, whose Nov. 7 appearance was sponsored by the College’s Diversity, Equity and Inclusion Committee, was a featured speaker during its Political Economy Week which included 30 lectures delivered by faculty and visitors on a broad array of political and economic topics. Being African-American, female, and from an economically disadvantaged family, the Assemblymember said that she has been able to bring a different perspective to decision making by elected officials. Assemblymember Weber is a former board member of the San Diego Unified School District and currently serves as a member of the California State Assembly representing District 79. Stoney Stone; and Odie Goward, Stoney's Kids board member. With its motto, “It’s all about the kids,” the nonprofit charitable organization Stoney’s Kids donated $10,000 Wednesday to benefit former foster youth now attending Grossmont and Cuyamaca colleges. 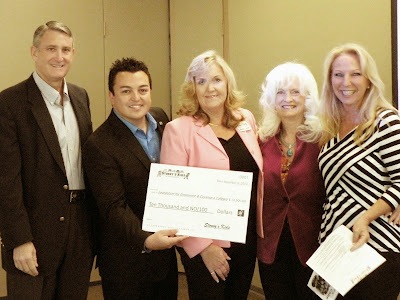 “Stoney has been trying for the past 20 years to find some way to help foster kids and thanks to the Foundation for Grossmont & Cuyamaca Colleges, he is finally able to live out his dream,” said Odie Goward, joined by fellow Stoney’s Kids board member Teresa Johnson and Bonnie Stone, daughter of the charitable group’s founder B.W. “Stoney” Stone, at a check presentation at Cuyamaca College during the foundation’s monthly board meeting. On Friday, Nov. 8, Grossmont will draw either Southwestern College or Miramar College as an opponent, and should the powerhouse Grossmont team win, as expected, it will play in the championship game on Saturday. Harvey predicts his team’s opponent for that contest will be San Diego Mesa College, which last Wednesday fell 12-8 to the Griffins and gave Harvey his 600th career win. Since then his team won four more games during a tournament held at Saddleback College. Over his 25 years as a water polo coach for Grossmont College, Harvey has compiled a record of 604 wins and 226 losses for a .727 winning percentage. His team won its first conference championship in 1990 against Orange Coast College in a 12-0 season, and then dominated the Orange Coast Conference through 1998 and the Pacific Coast Athletic Conference thereafter. Grant, who had served in the Marine Corps during the Korean Conflict, said even after separating from the military service, veterans should continue to honor the proud military traditions that have been passed down for generations. Likewise, Grant, who appeared in the 2013 movie The Lone Ranger as the Comanche Chief Big Bear, said that his Indian people should carefully listen and then honor the lessons that have been transmitted for eons in their oral traditions. Two volunteers with previous citizens’ bond oversight committee experience and a longtime electrical contractor are the newest members of the Grossmont-Cuyamaca Community College District CBOC. Gwen Miller, an administrative assistant for an electrical contractor; Edward Oremen, an architect; and George Bonner, an electrical contractor, were appointed by the Governing Board at its Oct. 15 meeting. The 11-member committee is charged with ensuring that revenues from construction bond measures Propositions R and V are spent on campus construction as promised to voters. The committee’s role is to review and report on district spending of taxpayers’ money for construction and to provide a public accounting of the district’s compliance with legal requirements. Proposition R, a $207 million bond measure, was approved by the East County electorate in 2001 as the most realistic remedy to overcrowded campuses and widespread repair needs at a time of decreasing state support. Voters passed the $398 million bond measure Proposition V last November to continue the work started by Prop. R to address longstanding facility, infrastructure and technology needs. "Political Economy Week" sponsored by Grossmont College's Political Economy Department, is intended to "facilitate a close examination of the political and economic issues impacting our local, national and international communities," according to Todd Myers, the department chairman. "The faculty of the department share their own political opinions and involvement with the students, while also presenting speakers representing diverse viewpoints."